Included below are previous weeks notices. String Camp will provide beginning and intermediate students a chance to deepen their understanding and appreciation of string instruments. This fun-filled camp will provide basic skills for beginning students, while intermediate students will continue to grow in their ability to play challenging music. Come join us at the Greater Newburyport Green Expo on April 11th 4-8PM @ the Rupert A. Nock Middle School. It’s a fun and free event for our community to come together to discuss environmental stewardship opportunities, climate change solutions, business opportunities, jobs, and our regional city government’s eco-friendly programs and plans available now and in the future. You can determine the actions we can personally take to contribute to a cleaner, more sustainable, healthier world for everyone. Discover some energy saving products and greener living ideas from local businesses. Please Note: The LOST AND FOUND will be donated just before April Vacation. The last day to check it for lost items is Friday, April 12th! Lots of water bottles, winter hats, jackets and several pairs of snow-pants, sneakers and more !!! IMPORTANT NOTICE: There will be No "Y" After School Program on the Remaining Early Release Days this year as per the YWCA. Please be sure to contact your child's teacher with new dismissal information on these days - Thank You! Please click here for more information. Have fun, beat cancer with the NHS class of 2019. Play mini golf Friday, April 5th at the NHS gym from 4-7pm. All proceeds support the Jimmy Fund. Please click for the flyer. Previews: March 28, 29 & April 1 during school hrs. Note: For specific information about your child’s class and the Book Fair please look for information from your child’s teacher. The Spring Book Fair is coming!! Spring Book Fair previews start next week. 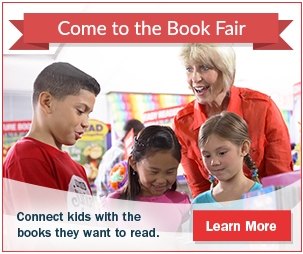 Please click to read the Principals’ letter about the book fair. Please note the letter contains two pages: the first is the letter, and the second is a special promotion that Scholastic is offering for advance sales of the latest Wimpy Kid. The promotional offer for requires parents to order and pay by April 4th in order to get the discounted price, and in order for Bresnahan to receive the promotional credit. This Friday March 15 is an Early Release Day.Preschool ends at 11:15am and Kindergarten through Grade 3 ends at 11:40am. The YWCA School's Out Program will be closed Friday, March 15. Please send in a note to your child(ren)'s teacher regarding your Friday dismissal plan if you normally attend the Y. Thank you! Whether in elementary, middle, or high school, helping kids think about sexuality in a positive rather than a fear-based way is essential to the development of healthy sexuality. This is especially important as our kids are exposed to our highly sexualized society at earlier and earlier ages. While there is no effective way to prevent this exposure, there are ways to help young people engage with it in a responsible, value-informed, and deliberate way. How can parents introduce these topics to their children - at any age? How do we help them see the positive aspects of healthy sexuality and prepare them to negotiate the challenges they will face? Join author, TED Talk speaker, and nationally known sexuality educator Al Vernacchio for an evening of conversation and practical strategies about these important topics. We encourage parents of any age children to attend; and teens are welcome as well! Click here for the flyer. It is the responsibility of the to identify any child who is a resident of Newburyport, who may have a disability, regardless of the severity of the disability. It is also the responsibility of to evaluate those students to determine if they are eligible for special education or related services under IDEA (Individuals with Disabilities Education Act) or 603 CMR 28 (Massachusetts Special Education Regulations). What is Child Find Screening? The Newburyport Public Schools provides Child Find screenings throughout the school year at no cost to families. The purpose of this screening is to identify preschool age children birth to five who are at risk for developmental delays and may require special education services. Does my child need to be screened? You may want to consider the following questions: Does your child? Have a vision or hearing problem? Have difficulty speaking or expressing him/herself? Do things more slowly or much later than other children the same age? Appear excessively active or have other behavioral difficulties? Have any other problem, which may interfere with learning? The is committed to identifying children before their (3) third birthday in order to provide early intervention services for three and four year-olds. If you have questions or concerns regarding your child’s development or you answered yes to any of these questions, you should consider having your child screened. Please call Lori Morasse at the Bresnahan School (978) 465-4435 x 3125. Sunday Feb. 17 at 2 PM at the Harlem Globetrotters game at the Tsongas Center in Lowell. Please come, invite family and friends to join us. Preschool and Kindergarten Registration is Open! Applications are available on-line or packets are available in the PreK/K Office. The deadline for Preschool/PreK registration is February 28. The lottery will be drawn Friday, March 1st. We have seen an increase in the flu like symptoms in the health office in the past week. We also have several confirmed cases of the flu. Please do not hesitate to call the health office with any concerns or questions. Lost and Found items will be donated on February 14. Please stop by and see if you have any items before they are gone. Recycle your used batteries with NHS Environmental Club. Bring your batteries to school and keep them out of the landfill! Click here for flyer. Please be sure to read the Principal's Newsletter, Principally Speaking. Click on the title to open the newsletter. Registration is coming! Click here for flyer. Repeat of Parenting Year's Speaker "Fostering Independence"
The Book Fair is coming December 6 - 14! Click here for the book flyer or to sign-up to help. Parenting Years Speaker - Dr. Peter Gray "Fostering Independence: Free to Learn" will be held Wednesday, December 5 at 7:00pm in the Nock Auditorium. Click here for flyer. Come see Anne of Green Gables, Tuesday, November 13 at 6:30 and Wednesday, November 14 at 5:00 in the Nock Auditorium, 70 Low Street. This family friendly show is completely student run, come show the students your support! Tickets are $7 for adults and free for all Newburyport Schools staff members. The Bresnahan School is collecting Items for area Veterans. Donations can be dropped off in the school lobbies until November 9th. Click here for a list of donations. Family to Family program - connecting families in the Greater Newburyport area who need some help or would like to help someone who needs a little help over the holidays. Click here for flyer. * * Boo Bash Details - Friday, October 26th - 6-7:30 PM - For PreK & K families - Click Here for details. The NEF Lighthouse Auction is coming! Click here for the flyer! We are looking for one more volunteer to coordinate a classroom gift for the NEF auction. Please sign up via the online Signup Genius as soon as possible if you are interested. Donation items need to be ready by October 28th for the start of online bidding. Please feel free to contact us directly with any questions. We are looking for a few more volunteers to coordinate classroom gifts for the NEF Lighthouse Auction. Please sign up via the online Signup Genius as soon as possible if you are interested. Donation items need to be ready by October 28th for the start of online bidding. * * Boo Bash Details - Friday, October 26th - 6-7:30 PM - Click Here for details. * * National Walk to School Day is Wednesday, October 10. We'll meet at North Atkinson Common at 7:50am to walk or bike to school together! Please join us! Parents have already received an 'Orange or Purple Signature Sheet' in their child's take home folder which should be signed and returned to school after reviewing the Parent Handbook online. It is important that the signed sheets be returned by Friday October 5th. Thank you !! Click on PARENTS HANDBOOK to view and read. Mark your calendars! The Newburyport Education Foundation will be holding its Annual Lighthouse Auction on Saturday November 10th at Nicholson Hall. Every year, each classroom donates an item to be auctioned off the evening of the event. We are looking for a volunteer(s) from each classroom to coordinate this gift. This involves reaching out to your classroom parents, collecting voluntary donations to purchase items, and deciding what the class would like to donate. Please sign up via the online Signup Genius that we have set up as soon as possible if you are interested in coordinating your class gift. Donations items need to be ready by October 28th for the start of online bidding. Thank you in advance for taking the time to join in this great community-wide event. Please feel free to contact us directly with any questions. Grade 1-3 parents will be receiving a 'Purple Signature Sheet' in their child's take home folder today or tomorrow which should be signed and returned to school after reviewing the Parent Handbook online. It is important that the signed sheets be returned by Friday 9/28. Thank you!! Bresnahan Breakfast Pilot - This is a reminder that it is underway serving breakfast from 8:05am - 8:20am to allow students to return to their classrooms to begin their school day promptly. Early Release Day Friday, 9/21/18 - Please note: It is important to let your child's teacher know in advance if their dismissal method will change from their regular routine on that day (including letting any after school program know of any changes as well i.e. Y School's Out, B&G's club, etc.) It's important that all students are accounted for during dismissal that have changes. Please note that the Breakfast Program at the Bresnahan starts on 9/17/18 (Monday). For parents requesting hard copies of notifications, due to lack of access to a computer, please notify your child's school office. If you do not want your child's picture to appear on school bulletin boards, in school or PTO publications, in school partner publications (NEF, NEBC) as well as local newspapers and on our school web site, please fill out a Photo Restriction form found on our website under the Parent Tab, scroll down, select the Forms Tab and select Photo Restriction. Repeat of Lost & Found notice. VOLUNTEERING: Any parent who would like to volunteer in the school MUST fill out a Parent Volunteer form and return it to the office. In addition, that parent must have a valid CORI on file. CORI's are valid for three years. Any parent who wishes to chaperone a field trip must do the above as well as have completed fingerprinting. Information regarding volunteering, CORI and Fingerprint are found under the Parent tab, under Volunteering. Click here. LOST AND FOUND: Please remember to label all sweaters, jackets, boots, water bottles, backpacks, lunch boxes, etc. (Hint: the PTO is selling label makers.) Then remember to check the Lost and Found frequently.